How to get ahead in life by setting up passive income streams. Denis O’Brien is a Chartered Accountant who is passionate about money and personal finance. Along with his fiancé Katie Welsh, they run Chain of Wealth a personal finance blog and podcast that inspires millennials to openly talk about money and tackle their financial issues. Together Katie and Denis have paid off $200,000 of debt in less than 2 years and they inspire others to reach their financial dreams by creating easy to understand resources. Chain of Wealth has been featured in USA Today, Nerd Wallet, Rockstar Finance and other publications. In this episode, Denis shows us how he has set up different passive income streams to reach his goals and how you can too! Acorns – Acorns helps you invest your spare change automatically. Get $5 by signing up today. Robinhood – Invest in stocks, ETFs, cryptocurrencies commission-free right from your phone or desktop. Stash Invest – A micro investing app which helps you learn, save and invest. ChangEd – Analyzes your spending, collects your spare change and puts it towards your student loans. Be sure to rate and review the show, and if you’d like a shout out on the next episode, screenshot your review and tag me on social media @thethoughtcard! Saving money at the airport and why you should consider having multiple bank accounts. In this mini-episode, I share how you can save money on coffee at the airport and why you should have multiple bank accounts. For more money tips, join me live every Sunday over on my Facebook page (@thethoughtcard). Tip #1: Instead of buying coffee at the airport, get free coffee during your flight. Now it might not be a latte or frappuccino but it still does the job. So if you want to save money on coffee, get it for free on your next flight. Tip #2: Unlimited free Wi-Fi has become very popular in airports. While waiting for your flight, get some work done or connect with family and friends on social media by taking advantage of the free Wi-Fi. Tip #3: Having multiple bank accounts is any easy way to manage your money. It allows you to see each line item on your budget separately so at a glance, you know exactly how much money you can spend. Figure out how many accounts you need based on your budget. Next take advantage of automation – direct deposit money from your employer into specific bank accounts so all you have to do swipe and spend. REVIVE Your Budget Challenge – this free budgeting challenge focuses less on number crunching and more on reframing your mindset so you can reach your financial goals sooner. Need help setting financial goals? Check out Episode 21 where we explore how setting better financial goals can lead to financial success. This episode of The Thought Card is sponsored by my Back to Budgeting Basics course. In this self-paced online course we debunk the myths that budgeting is “hard” and I help you quickly create a personalized goal-centric budget that aligns with your priorities and values. A budget is a powerful wealth building tool which helps you reach your financial goals. So if you tried budgeting in the past and lost momentum, or have been winging it, and haven’t really seen much progress, this course is designed for you. If you want to pay off your debt, save some extra money or have the cash on hand to do the things you love, it’s time to take control of your finances and learn how to set yourself up for financial success with this signature budgeting course. I hit my savings goal…now what? So you’ve stashed a significant amount of money away in your emergency fund. Congratulations! But now that you’ve accomplished your savings goal, you might be wondering, what’s next? In this mini episode, I share ideas for what you can do after you’ve reached your emergency fund savings goal. Don’t forget to join me live every Sunday over at The Thought Card on Facebook! An emergency fund is important because just in case something happens, you have money set aside for unexpected expenses. It can also save you from going into debt. For example, if you lose your job, at least you have money to cover your expenses for a few months. It really depends on how much you think you’ll need. Everyone’s savings target will be different. However, conventional wisdom says that you should have anywhere between 3-12 months of expenses saved in your emergency fund. I started my emergency fund by saving $1,000. This is actually what personal finance guru Dave Ramsey suggests as well. In Baby Step 1, Dave Ramsey suggests saving $1,000 in your starter emergency fund for when something unexpected comes up. After you’ve saved $1,000 now what? Have a $500 to $2,000 buffer in my main checking account. This pot of money serves as the first line of defense and gives me some leeway to spend without having to dip into my emergency fund. Share your thoughts by leaving a review on Apple Podcasts! This episode of The Thought Card is sponsored by my brand new course Back to Budgeting Basics. In this fundamental budgeting course, I teach you how to create a goal centric budget that helps you accomplish your short and long term financial goals faster. I also teach you how to track where your money is going every month, organize your banking and create a simple money routine. Learn how to set financial goals like a pro! Goals are important because they allow you to create your future today. Although a lot of people set financial goals every year, most people don’t actually end up sticking with them because they get distracted along the way. So how do you set financial goals that you will achieve? In this episode, I share easy ways to set yourself up for financial success by setting financial goals that are a good fit for your life right now. This episode is sponsored by my brand new course, Back to Budgeting Basics. In this course we debunk the myths that budgeting is “hard” and I help you create a personalized goal-centric budget that aligns with your priorities and values. 1. Assess your current situation. When you’re setting financial goals, what you’re really doing is assessing where you are right now and determining where you want to be in the future. Helpful Tip: Money serves different purposes. You can spend money, save, pay off debt, invest or give money to charity. Typically financial goals will fall into one of these major categories. 2. Is your goal too hard? You are less likely to achieve goals that are too difficult. Truth is, the best goals are realistic but not too over the top. Are these goals for you or are they based on what others want for you? Set financial goals based on what you want for yourself not what you think others want for you. 4. Create an emotional connection. Can you visualize yourself achieving your goal? What sort of emotions will you feel when you accomplish your goal? Will you feel excited? Calm? Relaxed? Remember, it’s easier to achieve goals that you are emotionally connected to. To bridge the gap, break down your goals into smaller more manageable tasks or mini bite-sized goals. You can do this by setting monthly, weekly or daily goals. Lastly, be sure to celebrate any big milestones or money wins. This will give you the motivation to keep going. Did you find this episode informative? Take a screenshot of you listening to the show and tag me @thethoughtcard on Twitter, Facebook or Instagram so I can personally say thank you! Be sure to check out Episode 17 where I share my biggest lessons learned in 2018. And catch the next episode where we chat with Frantzces from Chronicles Abroad about living, working and traveling abroad. 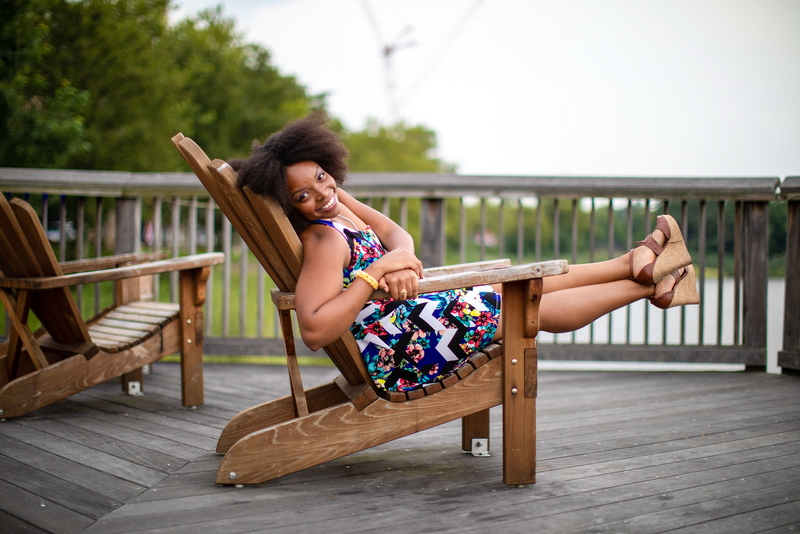 Ogechi Igbokwe understands how student loan debt can wreak havoc on our lives. How it robs us of our peace of mind and the ability to pursue our goals like buy a house, travel, get married or start a family. Ogechi is a certified financial educator and founder of One Savvy Dollar. One Savvy Dollar is a personal finance website that helps people find companies that offer tuition reimbursements and empowers them to save more, pay down debt, increase their net worth and build wealth. As a money expert, she helps people make money moves today that their future self will thank them for. She’s been featured on sites like Nerdwallet, Clever Girl Finance and more, and I’m so excited to chat with her about her debt repayment journey! In this episode, Ogechi shares her debt repayment story and how she’s helping recent grads get a leg up in life by taking advantage of tuition reimbursement programs through their employers. Tuition reimbursement programs are important because they help you reduce your student loans and you get paid to work and earn your degree at the same time! What are employer-sponsored tuition reimbursement programs? Thanks so much for listening, if you enjoyed this show, share it with a friend on Facebook! To listen to more episodes of The Thought Card don’t forget to find us on your favorite podcast player – Apple Podcasts (iTunes), Google Podcasts, Spotify and Stitcher and leave us a thoughtful review or send us a voicemail with suggestions for an upcoming episode. Also join our community over on Facebook – Financially Savvy Travelers! In today’s mini episode, we talk about the important lessons that I learned from not checking my pay stubs. Yet, I bet that I’m not alone in this. Many people don’t check their paychecks often enough. But what happens when something goes wrong and there’s an error that may actually affect your pay? I share my mistake story and why I now take a few minutes to make sure everything is accurate on my paychecks. 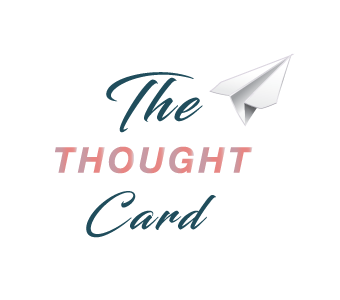 Want to listen to more episodes of The Thought Card? Listen to Teaching English in China and Living Abroad with Richelle Gamlam. In this episode, Richelle shares tips for teaching English in China and lots more about living abroad in Asia. My name is Danielle Desir, and I believe that when we make informed financial decisions, we can go very far. As a financially savvy traveler, I also believe that anyone can afford to travel, and this podcast shares the tools and resources, secrets and stories of how travelers from around the world are making smart money decisions to afford to travel more, pay off debt and amass wealth.